Indonesia celebrates its 65th year of independence today, so it’s a good time to point out a section of this site dedicated to where we live! Aside from its colourful history, Indonesia is a science hotspot, rich in marine and rainforest biodiversity, geological resources and events, pioneering conservation efforts, fossils and really awesome people. It has been of interest to the outside world since (probably before) the days of the spice islands, and around 150 years ago, Alfred Russell Wallace was out here studying the amazing diversity of life here. Wallace’s famous work, The Malay Archipelago, was dedicated to Charles Darwin. 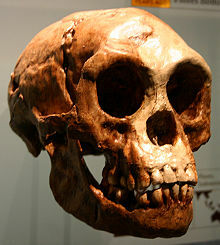 Wallace also hit upon ideas of natural selection and descent with modification while travelling around these islands, parts of which were to become Indonesia. Wallace noted that although neighbouring islands shared many characteristics and species, there was a marked division between those of Bali and the west and those of Lombok and the east, even though the divide between Bali and Lombok was small. 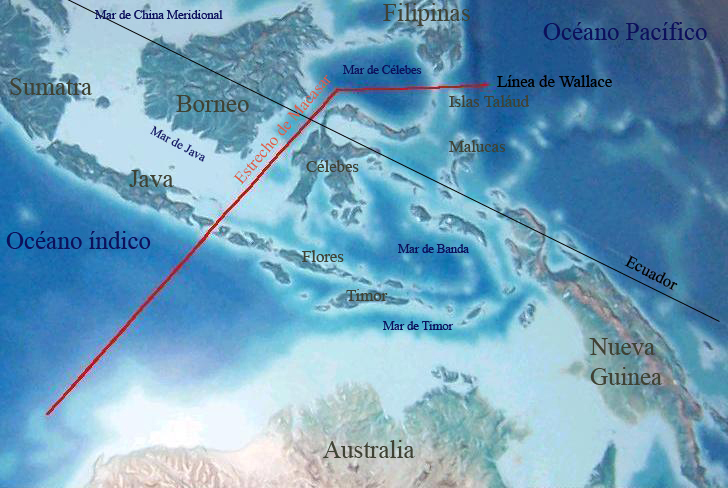 This division was to become known as the Wallace Line: western islands are characteristic of south-east Asia, whereas eastern islands are biogeographically more closely related to Australasia. With two distinct geological origins, species had separate genetic lines and paths of evolution. Through natural selection, Wallace wrote that barriers to interbreeding would evolve, leading to reproductive isolation and speciation – the Wallace Effect. That’s cool, and that’s where we live. You can read the whole book online, via Google: The Malay Archipelago. If you’re a Bio undergrad or graduate and have time and money to spare, you could do a lot worse than checking out Operation Wallacea, where you can boldly go where Wallace went before and take part in biodiversity and conservation research. Posted on August 17, 2010, in Uncategorized and tagged history, independence, indonesia, wallace. Bookmark the permalink. Leave a comment.